Tucker's Luck was a British television series made by the BBC between 1983 and 1985. 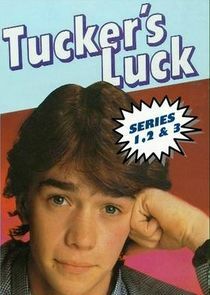 The series is a spin-off from the school drama Grange Hill and capitalised on the popularity of one of the series' original characters — Peter "Tucker" Jenkins, played by Todd Carty. Tucker's Luck followed the exploits of Tucker and his friends, Alan Humphries and Tommy Watson, after they had left school and their attempts to find employment and cope out there in the "real world".